Disclaimer: The Clone Fusion by Double Helix Cables was provided to me free of charge for this review. I only had to pay for customs and import fees. 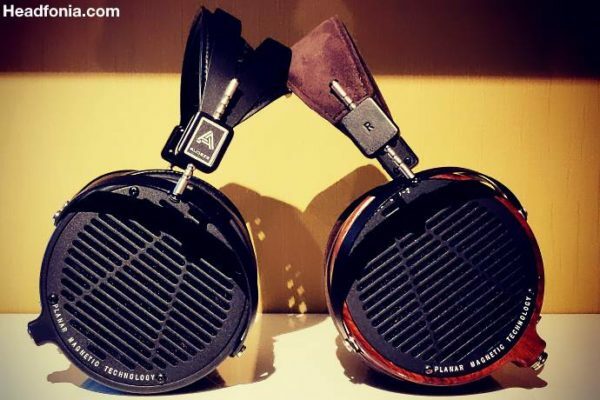 Double Helix Cables is not affiliated with Headfonia and not a site advertiser. Many thanks for the generosity and opportunity. 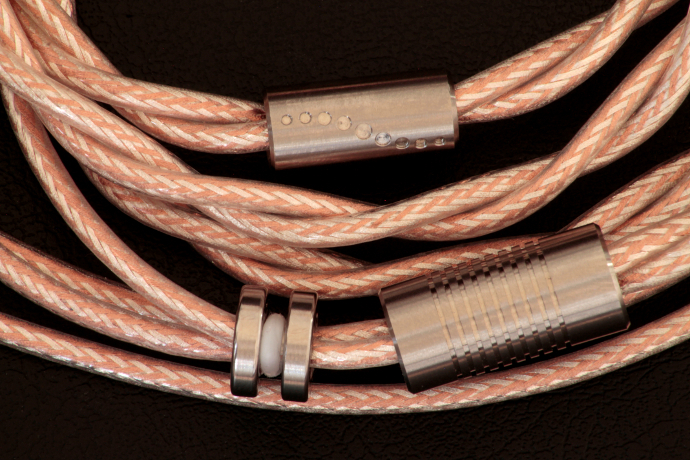 Double Helix Cables is an American brand for boutique aftermarket cables formed by Peter Bradstock. DHC has been formed in 2009 and only three years later Peter has decided to commit his full energy and time to the project of bringing exciting and great sounding products to the market. According to their website, DHC’s true mission is to find the upper limits of headphone performance. In 2016, with the launch of their Prion4 headphone cable, they say that mission may as well have been reached. DHC unlike most other companies in this segment, that is already obvious when you take a look at the product pages on their website. When you scroll through each site, you will notice that the detail of information is incredible. DHC even shows you exactly how their cables are made. What also distincts them from a good number of their competition is the fact that they only use OCC Copper and OCC Silver. They refuse to plate any of their cables with gold or silver. Just pure materials for best conductivity. On top of that, DHC gives their customers the choice to 3D print the Y-split of their cables. I have yet to come across a single other manufacturer that offers this service and that’s definitely a very cool thing in my book. Many industry standards have actually had their roots at Double Helix Cables’ houses. For example type 4 and type 6 Litz wires, the first direct soldered ultra short adapter, the first headphone cable with individually shielded conductors or the first cable with a conductive dampening core and many more. For a detailed list go visit their website. 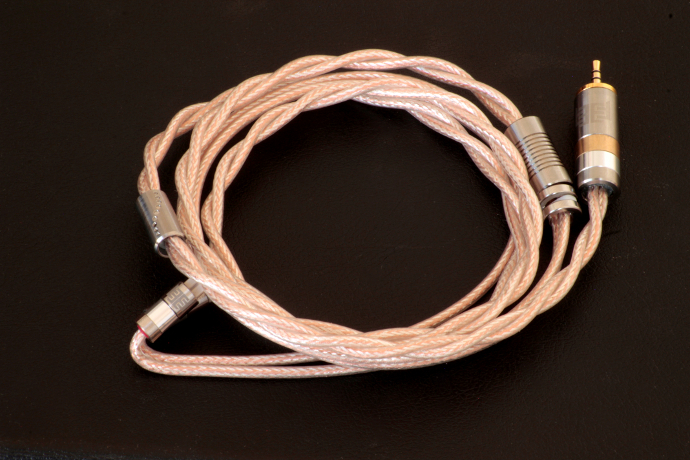 The Clone Fusion cable is an OCC Copper and OCC Silver hybrid cable that has a wire gauge of 22 AWG. It has identical left and right channels that are isolated from another. It uses an atypical coaxial design for each wire. It uses a Thermo Plastic Utherane insulation that is surprisingly flexible. The U-polymer jacket of the Clone Fusion has been specifically chosen for it, because it has similar electrical properties as the Fusion mesh conductor underneath it. This way there will be no interaction and exchange of static discharge. The Fusion mesh negative conductor is directly braided around the cotton-encased positive conductor. With the cotton dielectric layer in the middle, both signals are able benefit from it. At the center underneath the cotton layer is again a 22 AWG OCC Copper and Silver Litz design. Here are 14 alternating strands of Copper and Silver. Each of these strands is then coated with an enamel layer that prevents oxidation and cross-talk between them. At the very core of Clone Fusion you can find a type 4 model conductive core, which is made out of a proprietary resistive material which absorbs any internal static buildup. As you can see DHC does go to extra lengths to provide their customers a unique product. The Clone Fusion uses a two wire design. When looking at the positive conductor – the outer layer, you will notice that the cable looks woven, which again is unusual for today’s products as most manufacturers tend to use a twisted alignment. 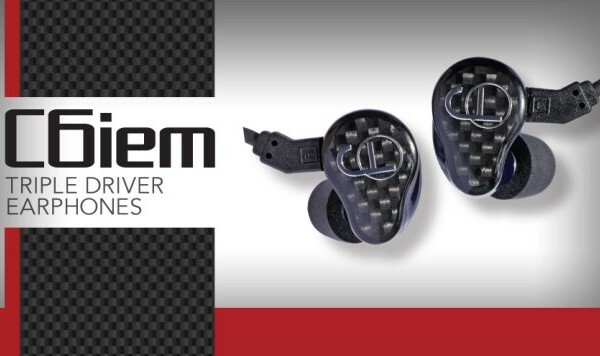 When you order a Clone Fusion you get a multitude of customization options, starting from the plug to the Y-split up top to the IEM/headphone connectors. The standard length is four feet (~ 120 cm), yet you can order it with different lengths as well. You can also chose if you want to add an Eidolic chin slider to the cable. 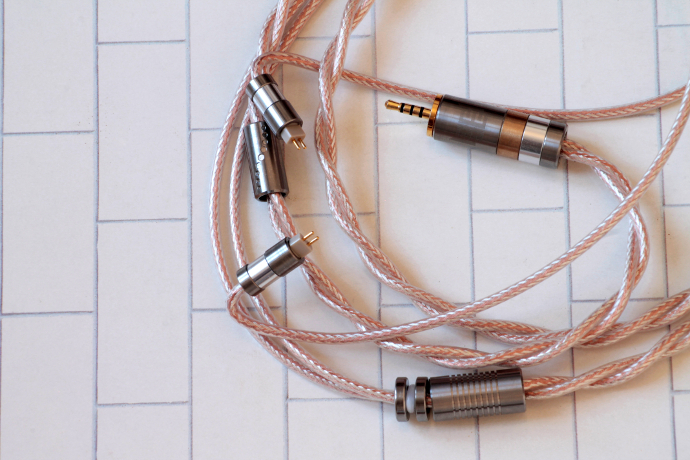 The Clone Fusion is not exclusively an IEM cable, yet it build nature might suggest so. The Clone Fusion starts at 549$ and has a build time of six to ten weeks. There is not a lot to say about the provided package from the Clone Fusion. When you order one set of it, you will get a white pleather transport bag that has the DHC logo stamped into it, a small cleaning cloth, an owner’s card and of course the cable itself. There is no box whatsoever included. The cleaning cloth is something I have never seen provided with any other cable manufacturer so far, yet is a nice touch and good idea, as most cables, or the insulation thereof, tend to become stiff over time when they get in contact with skin-oils. That’s why it’s advised to take good care of your cables and to wipe them clean every now and then. The Clone Fusion, as mentioned before, is a two wire 22 AWG cable with a coaxial design. This makes the wires a good bit thicker than I am used to from any other cable I have. Yet, the Clone Fusion is very flexible. When I first took it out of the package, I was surprised how flexible it was despite its thicker nature. Especially after the Clone Fusion reaches the Y-split it becomes incredibly pliable. My cable is terminated to an Eidolic 2.5 mm plug and 2-pin connectors at the top end. 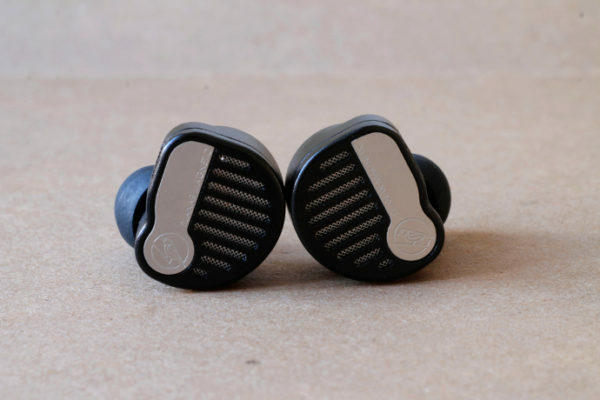 The 2.5 Millimetre headphone plug is fully made of Titanium and has two 5 mm inlays. One in silver aluminium and one bronze. In total the barrel is 29 mm long. When you look at it from the top, you will notice that the wires are fixed into place with silicone as a strain relief. While that might not be the best looking way to do it, it works very well. About 15 cm after the plug DHC has put a small titanium tube on the cable. CNC’d on this tube you will see the DHC logo. This is their guarantee that it is a Double Helix Cables original product. After 2/3 the cable goes through the Eidolic ESXT Y-split and separates the wires from each other. My cable also features the E-SXST titanium slider which stays into place extremely well. The Y-split again is filled with silicone grommets. The 2-pin connectors on top again are from Eidolic. In order to get the polarity right when you hook them up to your monitors, you should make sure the Eidolic logo is facing outwards. Identifying the correct side could be much easier, as the only indication is a small red rubber ring on the right side. The Clone Fusion doesn’t use a preformed heat-shrink or memory wire in order to form an ear-hook, but the cable itself is slightly bent shortly after the 2-pin barrels. Comfort wise I never had an issue with the Clone Fusion. 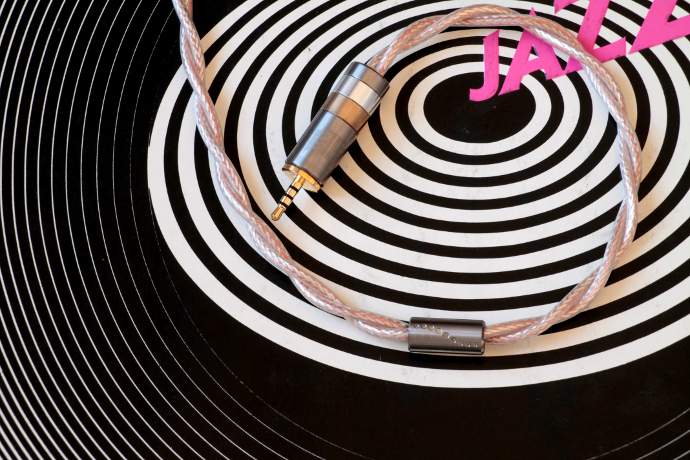 Due to its bigger wire size it is heavier than some other products, but the coaxial design really makes up for that. When I was wearing my sunglasses I could hear the wires pushing against the temples of them, so it might not be the optimum solution for people who wear glasses. Page 2 is all about Sound and Pair-ups! Is your N8 with recessed sockets? So there is not a problem with a normal 2pin cable working with that kind of socket? On the other hand, I see N8’s stock cable has longer pins than usual, so will that kind of pins work with normal 2pin sockets?